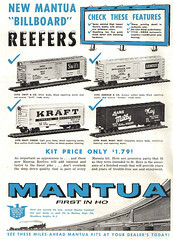 A Refrigerator Car kit, #K329A thru #K329H, is listed in the 1963-64 and 1964-65 catalogs selling for $1.49. The kits, #K329A thru #K329H, are listed in the 1965-66 catalog at $1.79. The TYCO name dates to 1957 and was exclusive in its early days to ready to run releases. 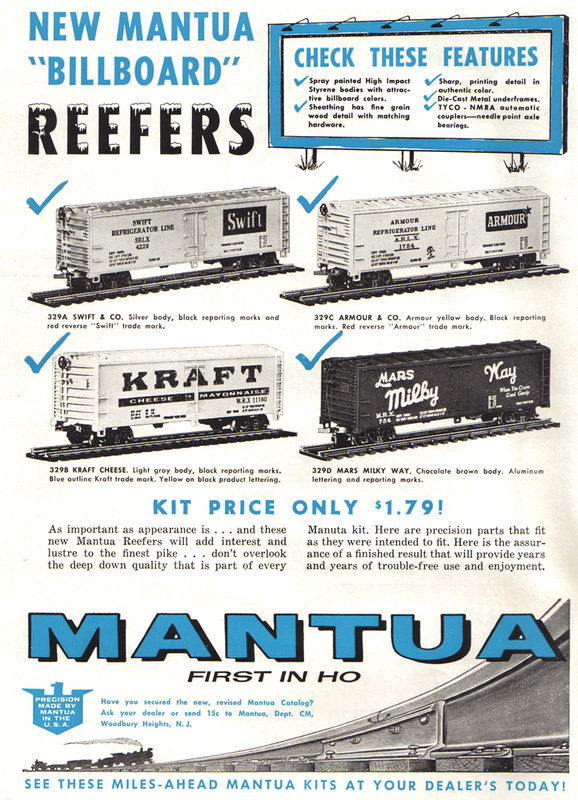 This October 1960 ad shows off the then-new Billboard Reefer kits that were in the Mantua line. Fully assembled examples were found in the TYCO line. You may click on the image above to open a larger version for better viewing.